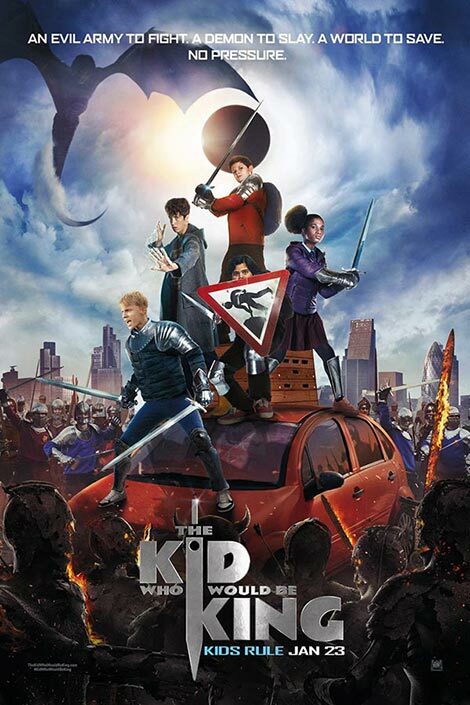 “The Kid Who Would Be King” follows the adventures of an average school kid Alex (Louis Ashbourne Serkis) draw Excalibur, the magical sword of King Arthur, from a building site and go on a magical quest — with pals old and new — to save Britain from the forces of darkness. Standing in the gang’s way is malevolent enchantress Morgana (Rebecca Ferguson), King Arthur’s half-sister, whose belief that the sword is rightfully hers has twisted her to evil. Buried in a tree in the bowels of the Earth by Arthur and his magician Merlin (Sir Patrick Stewart/Angus Imrie), Morgana looks to take back the sword using an army of undead knights and her terrifying ability to shapeshift, buoyed by a deep conviction that she is the true heir to the throne.